People who have had a stroke find it very difficult to be active and tend to sit for long periods each day, which is bad for their ongoing health. My research focuses on understanding how breaking up sitting time with short bursts of activity could improve health and wellbeing after stroke. Early after stroke, we know the best drivers for recovery of walking and arm function is getting enough active therapy time. I am interested in finding ways to maximise therapy time and active practice of new skills during rehabilitation. Working as a physiotherapist in a busy rehabilitation centre with people after stroke, I realised that while the staff were very busy, often the patients were not. I began to think about whether we were delivering our services in the best possible way. Discovering better service delivery methods to improve the lives of people who've had a stroke continues to motivate me. Understanding how simple changes to activity levels might improve health and wellbeing after stroke, and just how much exercise or activity is needed for improvements in health. Similarly, finding the optimal dose of exercise training for people early after stroke to maximise their recovery of walking and arm function and effective ways to deliver this in the hospital and rehabilitation setting. 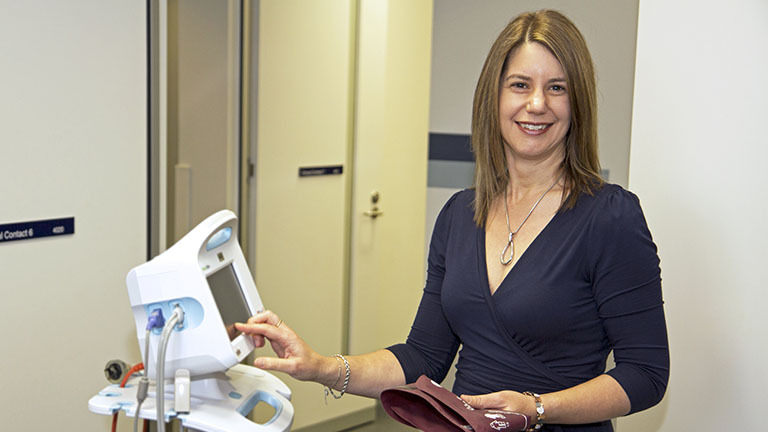 Associate Professor Coralie English is a physiotherapist and an experienced stroke clinical trialist. Her research focuses on understanding the health benefits of physical activity and sedentary behaviour for people after stroke, as well as optimal models of improving walking and arm function early after stroke. Her research expertise includes understanding the impact of sedentary behaviour on health, both early and later after stroke, developing and testing interventions to enable greater physical activity in this population, understanding the optimal ‘dose’ of exercise and physical activity, understanding the role of physical activity in management of fatigue after stroke and the use of wearable activity monitors to both encourage and measure physical activity and sitting time in this group. Improving the lives of people who have had a stroke though optimising physical activity for recovery of function and long-term health and wellbeing. Member of the Stroke Rehabilitation Research Roundtable initiative.